With the landfall of Florence, I was deeply touched by all the concern for our welfare. The emails and comments were simply amazing and heart warming. We came through the storm with no damage and little inconvenience, another thing to be grateful for. I’ve talked about Gratitude before in this post, and I am truly grateful for all the wonderful things in my life. It brought to mind a book I have had for many years, and I get out to read from time to time. My mother gave me my copy when it was originally published in 1995, and we would often discuss the thoughts of the day. 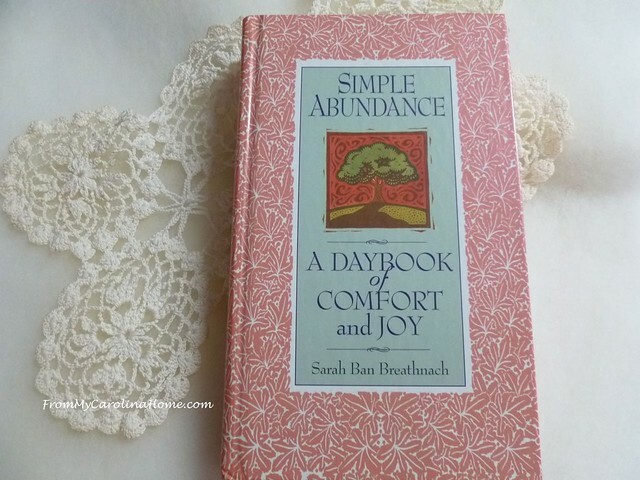 It is called Simple Abundance A Daybook of Comfort and Joy. It is a daily meditation of 366 writings on various subjects, all designed to focus attention on the small things that make our lives full. I’ve been reading it a lot this week, and I think I’ll leave it out and go through the meditations again. 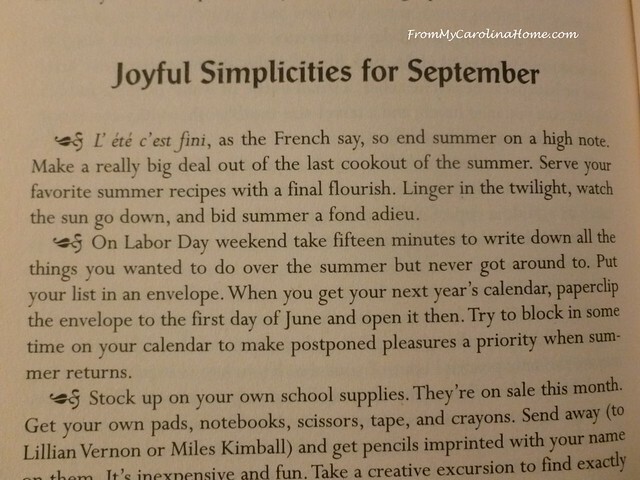 The publisher says “Simple Abundance shows you how your daily life can be an expression of your authentic self … as you choose the tastiest vegetables from your garden, search for treasures at flea markets, establish a sacred space in your home for meditation, and follow the rhythm of the seasons and the year.” One of the things recommended is to make a Discovery Journal by cutting things out of magazines to find your authentic tastes. Magazines you like to read will have lots of pictures of things you love. 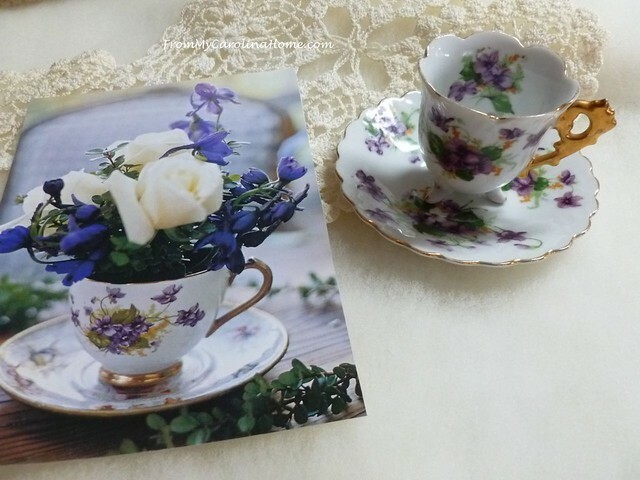 It wasn’t surprising to find that I had a picture of a delicate china cup with violets, and a real one that looks quite similar. 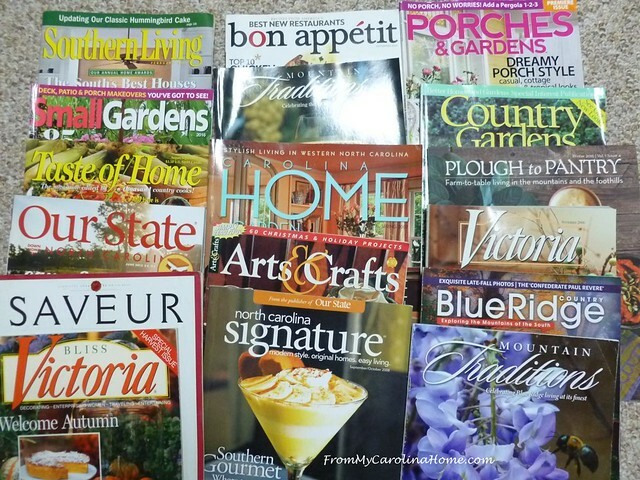 I do have quilting magazines too, I just forgot to grab one for this photo. I used a photo album for my journal so I could just lift the cellophane and place the picture. I made mine years ago, but I still like everything in it. I chose pictures that had scenes that really spoke to me, not just pretty, more than that. Here I have pretty tables and lovely flowers, antique furniture and delicate china. 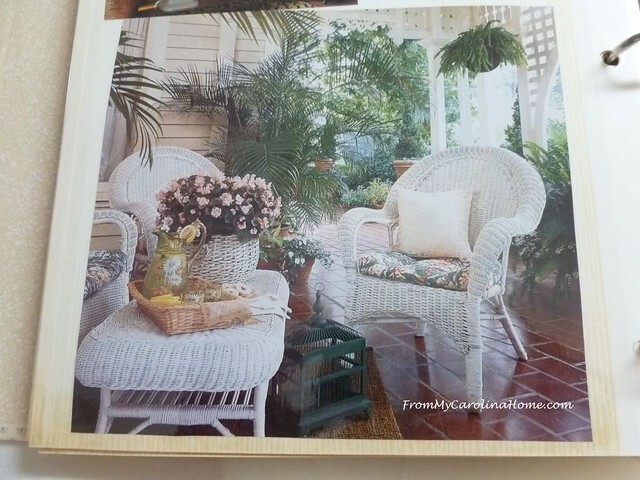 A light and airy veranda with comfy places to sit. Doing this will help you focus on what you truly love, and then surround yourself with those ideas. I discovered that I really like color on walls, and now our home doesn’t have a white wall in it. The colors are subtle but warm, with accent walls in soft green in several spots. An old fashioned iron bed with a quilt has charm too. 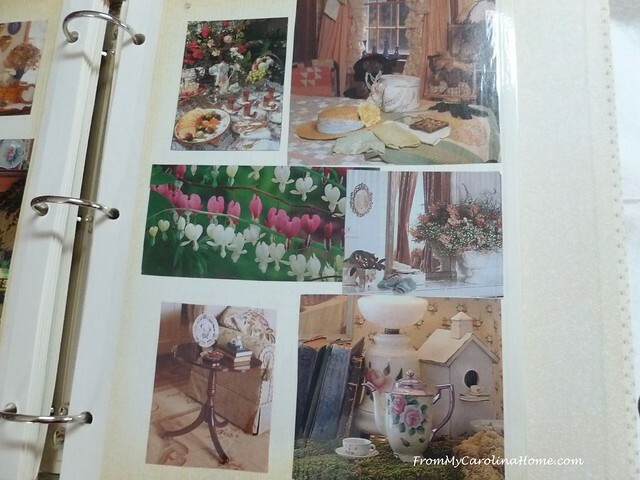 Pretty flowers share a page with a delicate ribbon and a garden table for lunch. I enjoy that soft English country or French country look, but not primitive. 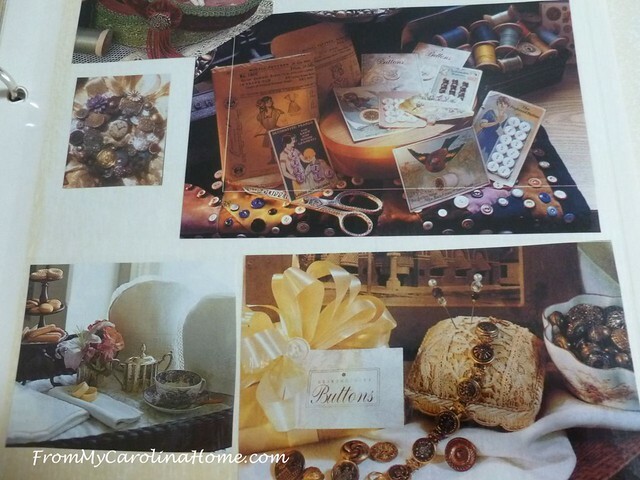 Buttons and sewing things are lovely as vignettes. Gorgeous garden photos are next to architectural details. I still would like to put a stained glass piece in a window, but I have yet to see one that I love. 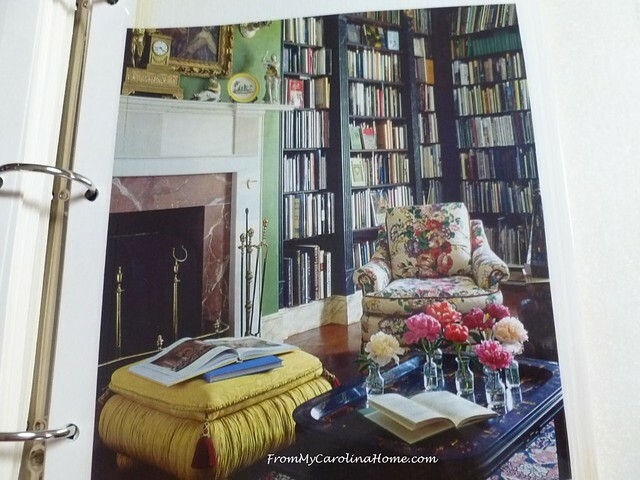 Of course, walls of books occupy many pages. 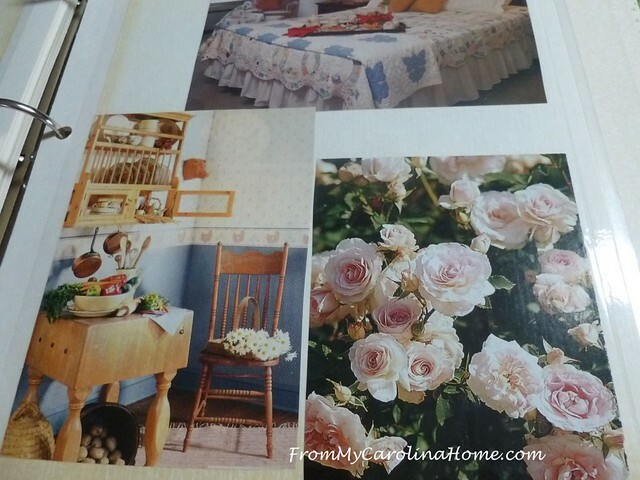 This page has a quilt on a bed with a tea tray, a quiet kitchen corner and an abundance of roses. Small scenes of quiet joy. On the subject of gratitude, I am grateful for all of you dear readers who spend time several times a week to read my words, and especially to those who leave a comment. In gratitude for their kind support, I am sending a copy of Simple Abundance to my top 3 commenters over the past year. Comments and thoughts on my blog are so appreciated, always make me smile, and frequently warm my heart. Thank you for your amazing support! The books are on the way to you now. This passage I found again this year, and it still speaks to me. Especially this week, when there are so many who lost their homes in the eastern part of the state, I am grateful for our beautiful home and safety. I am working on a plan for a quilt project for our Carolina Hurricane victims, and I’ll need your help again. More on this when I get the details worked out. Each month there are some ideas of things to do that are seasonally related. I like the idea of writing down the things I meant to do this summer and didn’t get to. I am also sending a copy to my two wonderful Facebook moderators, Mary Deeter and Pat Semeraro. They approve new members, answer questions, and generally take care of the sharing group for me so I can spend more time designing and sewing. As I only go on Facebook once a week or so, they keep things running smoothly, and I am grateful for their help. 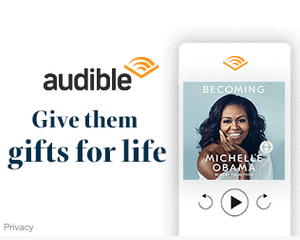 Thank you, ladies, your books are on the way, too. Thank you to all who share their thoughts! I wish I could send you all a gift, but if you would like your own copy, you can get one on Amazon. I recommend the hardback as it is a keeper. Simple Abundance on Amazon. The link has a Kindle edition for those of you with a Kindle reader. 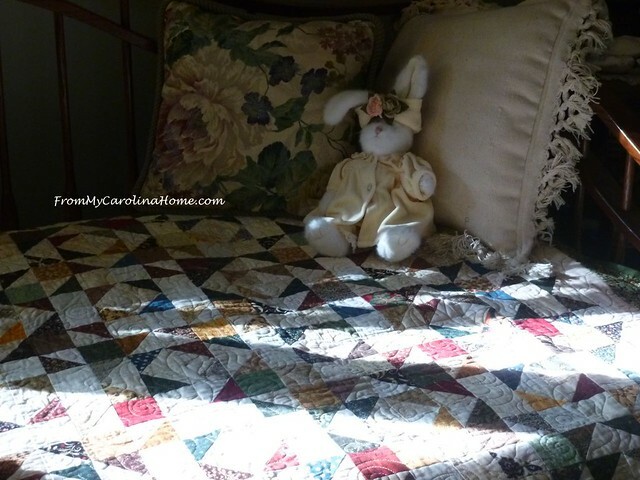 Now, for a quiet place to read, maybe the daybed where the bunnies relax on a quilt with a beam of sunlight. 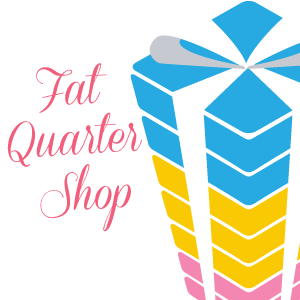 Craftsy Sale! Up To 60% Off Kits + Supplies! Make the seasonal transition a little smoother by stocking up on your favorite supplies! It ends on Sunday, so stock up while you can. I just ordered Hobbs Tuscany Wool Batting, a Hobbs 80/20 Blend batting, and a 12 spool box of Aurifil thread. Get free shipping on orders over $99 too!! Carole, what a lovely book! Photo journaling is such a great idea. I am so glad you didn’t experience the wrath of Florence! How special is this! thanks for the wonderful post and details. I enjoy doing my gratitude journal but this book looks great too. Thank you for this post. A friend gave me the Simple Abundance book in 1999. Read it often over the years. But have not opened it in some time. Have it in my lap now. Thank you! I needed to hear this today. Still clearing storm debris, and a marsh for a yard. Child in the ER last night. The list goes on. You helped me see the good. I know where my copy of the book is, and I’ll revisit it. Carole so glad you weathered Florence…there are many who are still in peril. 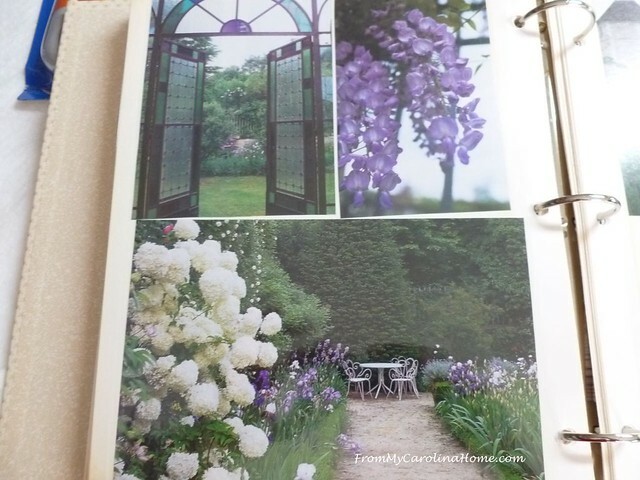 I love the idea of photo journaling as I have several of my favorites too. Thank you for sharing yours. I thank God several times a day for air conditioning!! I Love this book…have had it for a long time and it always speaks to me when I read. Thanks for reminding us! Good Morning Carole…..Twenty two years ago, we moved into our small subdivision (21) lots and were only the second family to be building a home there. It is a rural area, something we were not used to, having been born city kids and living over 35 years in an area very close to the city of Chicago. Our children and grandchildren were all over an hour away, and it was as if we were moving to Tin Buk Tu, and didn’t know a soul. But a few days after we moved into our home, our only neighbors came to visit, bringing with them, some delicious cookies, along with this wonderful book you featured in today’s blog. The cookies were eaten and soon forgotten, the book sits on my nightstand to this day. I’m thankful for your wonderful blog, covering so many different topics, with such prolific photos. Your blog is in my top five list of favorites. I’m so glad you escaped the wrath of Florence. Eagerly await your plan for quilts for the flood victims. I’ll defintely participate. I’m aware of Simple Abundance, but confess that I never read it, so I will search out a copy. I’m in a simplify, declutter, be mindful, and grateful mode these days, so this book sounds like a winner. We have one more day of heat (near 90°), then a 40° drop in temps and much colder next week. Autumn is finally going to make an appearance. Simple Abundance looks to be a wonderful inspirational book. I myself spend my mornings on my front porch swing thanking The Lord for my health and all the wonderful things He has given us to enjoy. We are so fortunate to have someone special to go to in times of need and our prayers always seen to get answered. 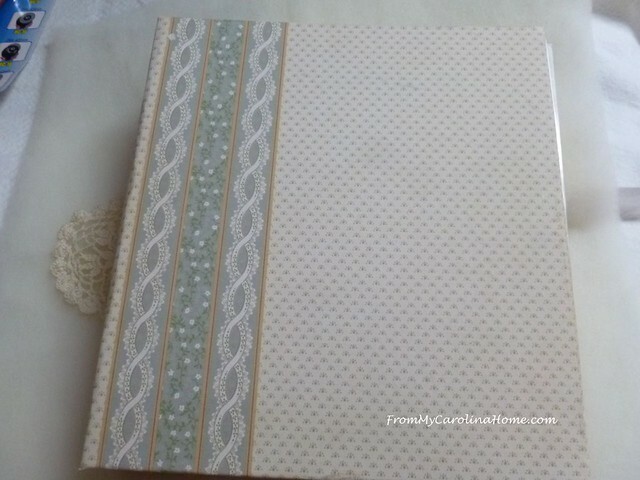 Love to idea of cutting out special pictures of things that give us so much pleasure and keeping a scrap book of them. 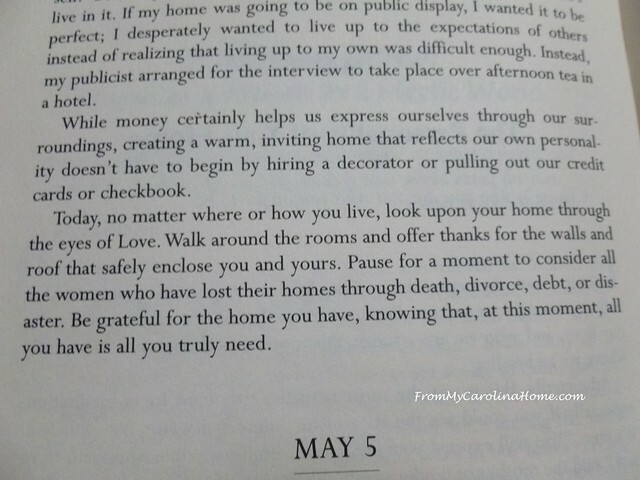 I made one a long time ago when Oprah talked about making one and its surprising the special items that give us so much pleasure, some are so inexpensive and mean the most to us. In my recent years I have gotten the most rewards for doing for others and making items they can use, sometimes my insides just flutter with the pleasure I see in their thanks for what little it may have been I made for them or bought that they had a need of. My latest is for my friend who just had her 84th birthday and I have used remote electric switches to turn on and off lights to give to her so she doesn’t have to get up and down to turn on a light, especially at if she has to get up. I have enjoyed using mine for so many years now and just never thought much about it till these last few years when it has been so hard to get around sometimes. All of us thank you for all your efforts you put into this site and I for one have enjoyed it so much, I look forward to each day to find out what you are sharing with us, thank you so much for your generosity . Simple Abundance made such an impression on me several years ago, and I continue to refer to its message. Every day I find so much to be grateful for, and I am grateful that you were not in harm’s way. Carole, I’m so very happy to hear you, your family, and your home are all ok. Florence was terrible and sadly has impacted so many people. My heart and prayers to all of those who lost family and friends, as well as those who had property and business damage. 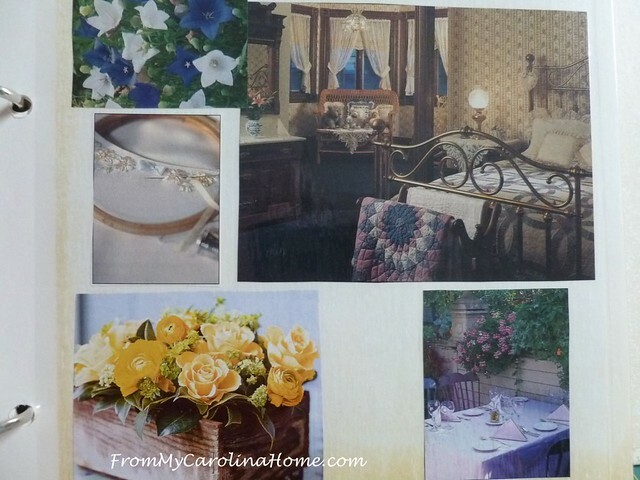 Carole, what a happy surprise to read your blog today, and learn about this book! I will look forward to its arrival! Glad to hear that you escaped the storm, and am happy to be in a spot with projects that I can do some sewing for you in the relief efforts. This makes me very happy! Hello Carole, I am so thankful that you two had no difficulties with this horrible storm like so many others have and still are. I will gladly help you in any way that I can when you decide how to handle your project. I am thrilled beyond belief to be receiving this special gifted book from you! It sounds like something I can definitely use in my life right now and so know it will be treasured and kept beside me, most likely at my sewing area, so I can use it often. 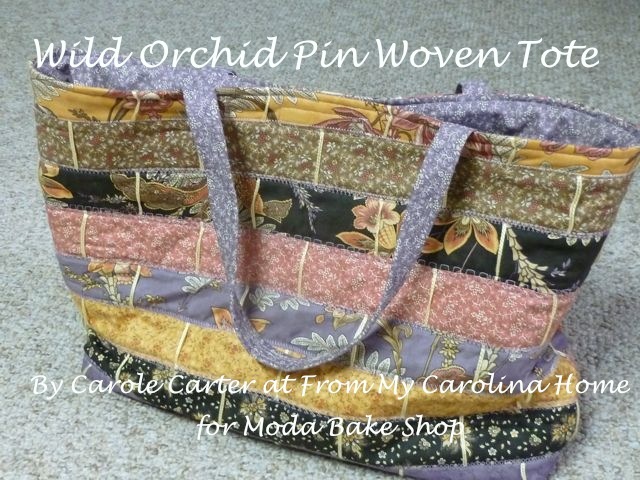 Thank You for this splendid gift, Carole. 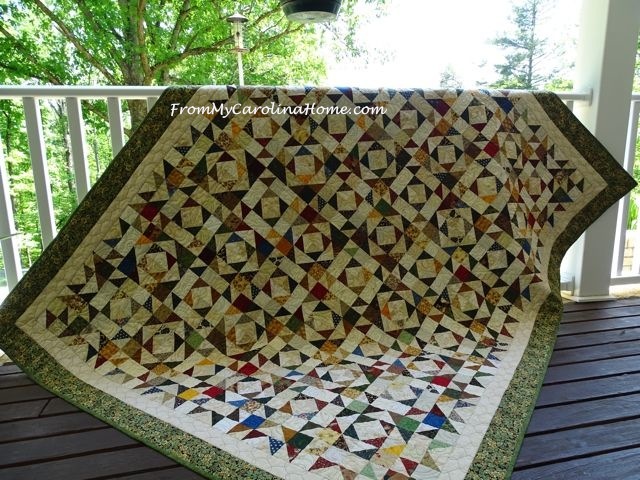 I remember discovering your blog somewhere in the middle of a Mystery Quilt Along and you and my Husband were cheering me on and kept telling me I could do it and get caught up. 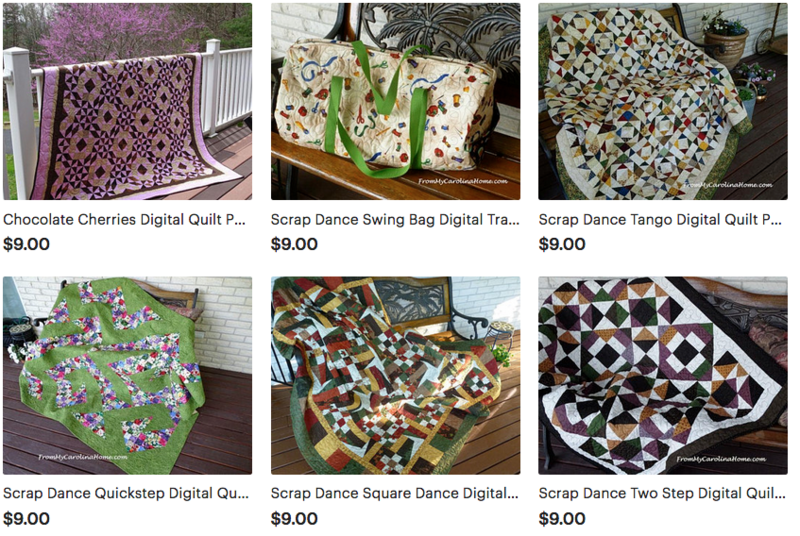 I fell in love with your Mystery Quilts right then and there and your blog is a daily read that I always enjoy! Thank you so much for everything you do and share on your blog! Have a superb day! Bunny in a sunbeam, beautiful. I am SO grateful for the years we have lived here, and even more so that the new family coming here in November love it as much too, before they even move in. I am so thankful for my friends, here in NZ, and in blogland, and know that the support and comments are always so appreciated. Your book, with those words is a treasure. I’ll have this book too and read it when I was a young mother. You are right…it’s a keeper. Wonder how different my experience would be doing the exercises now that I’m older??? I put put it on my nightstand and shall see….as lately I found myself saying every day: “babe I just love our life right now. “ smiles being sent to ya friend. Knowing the general vicinity of where you are, it never occurred to me that Florence would cause you more than a little wind and rain. I should have checked, though. This is a great book, and the Kindle edition is a good idea. My list of gratitudes is so, so long, but good friends top the list. Thanks for being in that group, and being someone who values beautiful things. It seems to me that you and Jenny Reynolds would have a lot to talk about! You are very thoughtful. 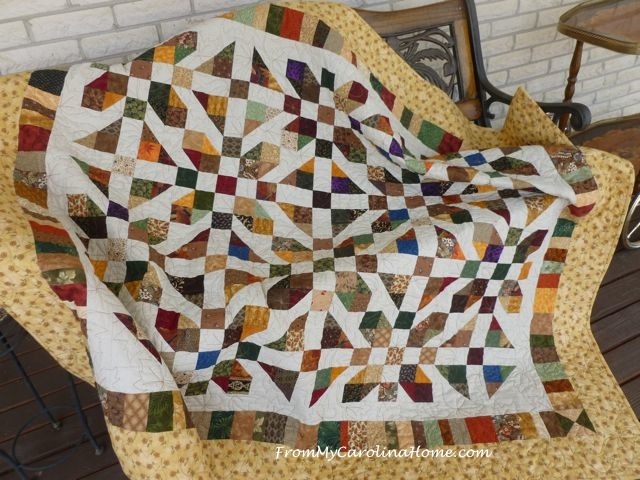 I have moderated a group for a well known quilt author for many years and know the work put into moderating busy groups! Thank goodness that you escaped the worse of the storm. This is a thoughtful post the sentiments of which I shall be ‘replaying’ in my head for some time. Thanks for sharing. I enjoyed your post. 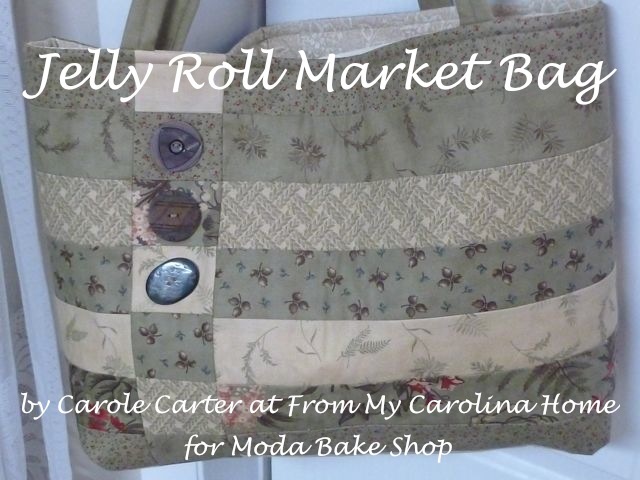 Thank you Carole! I have been away for a few days and was so surprised when I got this out of the mailbox this afternoon. Just sat down to “catch up” on blog post reading and saw your post. Thanks for allowing me to assist as I am able. I sat for a few minutes before dinner reading the introduction to the book and the first few pages. I look forward to reading more. Happy to help, and thank you for the lovely gift. I am glad to hear that you weathered the storm. It seems every day there is more bad news in the Carolinas. I have heard of gratitude journals but not the type of photo journal for authentic tastes. You tea cup is very pretty! Well as you can see, I have been away from the computer for nearly a week. Now all my questions have been answered and your queries make sense. Thank you so much for your kindness and generosity. I am a very lucky blogger. And I can also let you know that your delightful parcel arrived on my doorstep yesterday. I will enjoy sitting quietly with a cuppa and looking through each of the days. Thank you for going to all that trouble. Greatly appreciated.